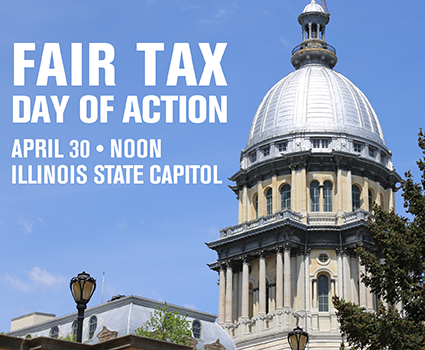 It's time Illinois has a tax system that works for everyone, not just the wealthy few. That's why AFSCME members are joining with other working people in Springfield on April 30th for the Fair Tax Day of Action. 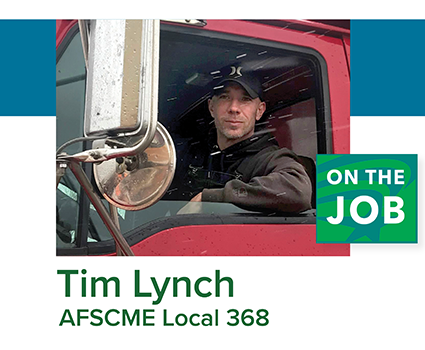 Candidates who garnered AFSCME backing based on their pledges to stand with working families won in local government elections across the state on April 2. These are the results in contested races where the AFSCME regional PEOPLE committees took action. 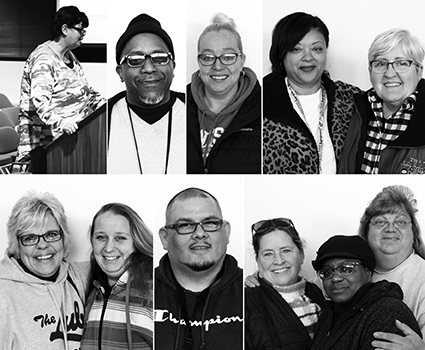 Rockford public schools bus drivers of AFSCME Local 1275 banned together to oppose District 205’s plan to outsource school bus services to a private, for-profit corporation—and they prevailed. The Pritzker administration has told state agencies to put employees on their rightful steps no later than April 1. In the SERS trustee election, your vote is your voice. Vote Melissa Garman to fight for your retirement security! AFSCME Council 31 members in good standing and children of AFSCME members who are high school seniors or college students under the age of 25 are eligible to apply for these $2,000 college scholarships. New! U.S. Rep. Chuy Garcia wishes AFSCME members a Happy National Library Workers Day! New! U.S. Rep. Jan Schakowski wishes AFSCME members a Happy National Library Workers Day! "Libraries offer more than books. Libraries support and strengthen the foundation of our democracy—the free exchange of information and ideas for all." 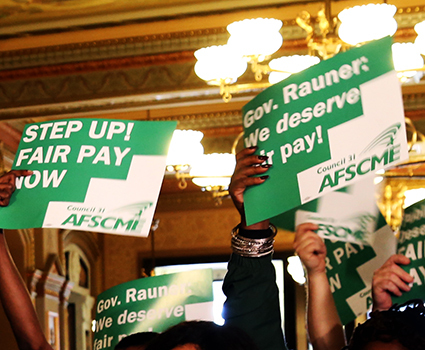 “Raising needed revenue from those who can afford to pay a little more—while cutting taxes for 97 percent of filers—is the fair tax reform that’s long overdue in Illinois," AFSCME Council 31 Executive Director Roberta Lynch said. AFSCME Local 805 President David Morris, Local 2081 President Stephen Mittons and Local 1805 member Jeremy “Tad” Hawk were re-elected on Feb. 21. Rockford school bus drivers of AFSCME Local 1275 are voicing opposition to the RPS 205 school board’s plan to outsource school bus services to a private, for-profit corporation. More than 500 delegates from AFSCME local unions across the state braved single digit temperatures, wind and snow to gather in Springfield for the biennial AFSCME Legislative Conference to set the union’s 2019 legislative agenda. Rauner in the mayor’s office? Bill Daley and Willie Wilson have problematic political alliances and downright dangerous positions—both lost their bid to be Chicago's mayor. In September 2017 AFSCME Local 448 member Pamela Knight, a DCFS child protection specialist, was sent to take a two-year-old child into protective custody. As she got out of her car, Knight was attacked. She died as a result of her injuries on February 8. Pensions. Health care. Layoffs. Bargaining rights. The threats are many. 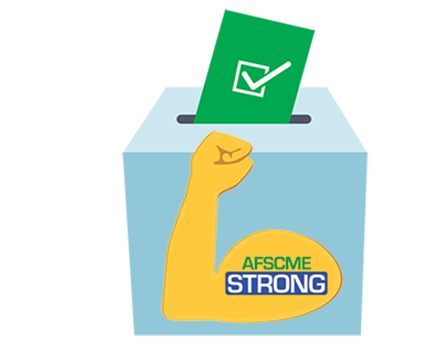 Sign up here to get the latest news and action alerts from AFSCME Council 31.